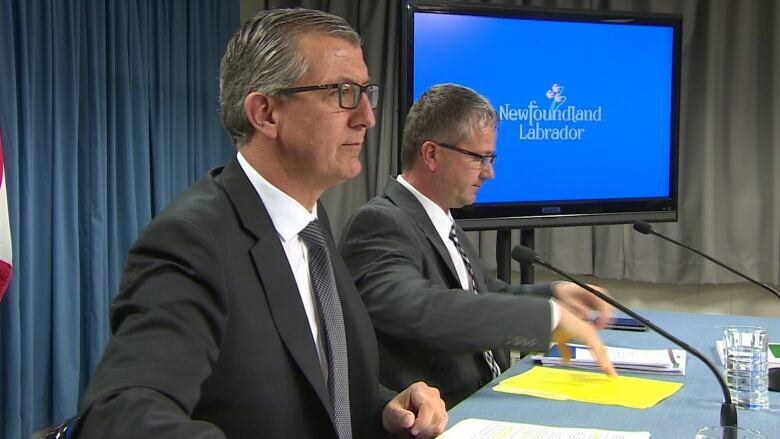 Newfoundland and Labrador Premier Paul Davis announced Monday the date for the next provincial election is set for Monday, Nov. 30. Last week, Davis told CBC's On Point with David Cochrane he was anticipating a late November election to make sure there was no overlap with the federal election. Davis said at the time he wouldn't set a final date until receiving the report from the Electoral Boundaries Commission Monday. He added that he's received a request from Elections Newfoundland and Labrador to avoid overlap with a federal election to allow the office to prepare for a provincial vote and train necessary staff, as well as adjust to the new electoral boundaries adopted for this year. "That series of events beings us into early November before we can formally drop the writ for a provincial election," said Davis. "So with that in mind, and respecting the advice and specifics requested by the chief electoral officer, I'm setting the date for the next general election for Newfoundland and Labrador as Monday, November 30." Speaking to reporters, Justice Minister Darin King said provincial legislation would be amended so future election dates could be moved to avoid overlap with federal elections. The province's fixed-date election law will keep the vote in October, but Davis said the date will be moved to late November if there is a conflict with a federal election. A provision will be added to allow the premier to announce April 1 of an election year, if necessary, that the provincial election will be moved to the last Monday of that year if the date needs to be moved. Davis said he will also amend the legislation so no byelections can be held within six months of a general election if an MHA resigns. The new electoral boundaries were unveiled Monday, which means the number of MHAs to be elected this year will be 40, down from the current 48. According to Davis, the fewer number of MHAs will mean a savings of $10 million over the next four years and more than $2 million every year after that. King was set to table a report on the changed boundaries in the House of Assembly Monday afternoon to allow for the start of debate as soon as possible. The changed electoral boundaries will be mostly the same as the ones proposed previously this year, but Davis said changes will be made to some areas following the commission's public consultations.